I also hung out with a friend for six hours and we had a blast. We’re hanging out again tomorrow for another six more. Woo Hoo!! So, now I need to put myself to sleep. Hopefully the wine will kick in a few minutes. Anyhow, here is today’s Thank You card inspired by a scarf. I liked the colors in the scarf which is why I turned it into a card. 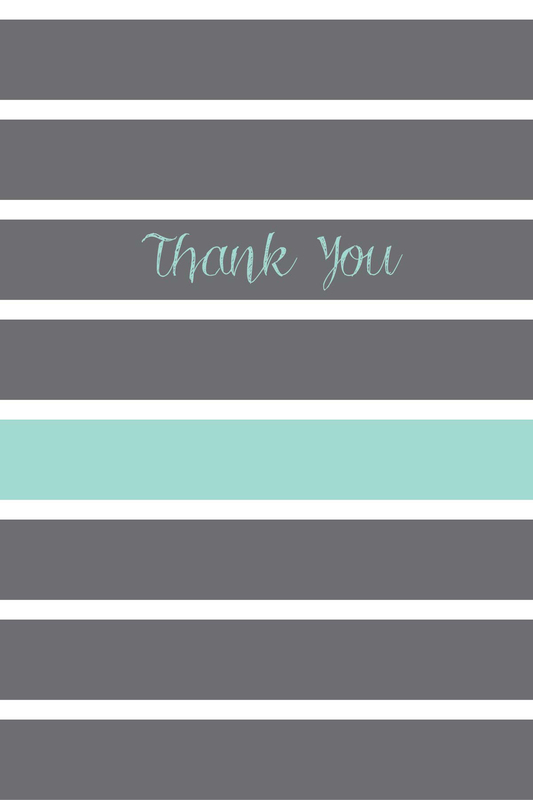 This entry was tagged blue, card, cards, colorful, colors, design, graphic design, gray, pattern, patterns, stripes, Thank you, thank you blog, thank you card, thank you card blog, thank you cards, white. Bookmark the permalink.